When we took Psalm 72:8 as our mandate, we recognized that we must take the life-transforming message of Christ not only “from sea to sea”, but also “to the ends of the earth”. BPEA focuses its mission efforts on Inuit groups living in the extreme climate of Arctic Canada and Arctic Russia. 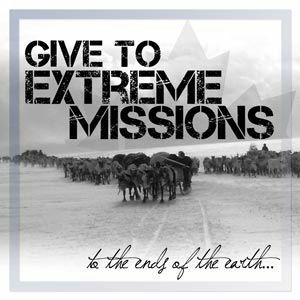 In addition to the work of evangelism, we’ve established and funded churches, provided spiritual teaching and leadership tools, and delivered life-saving food, clothing and household aid to families living in extreme poverty in isolated Russian Inuit villages. We also adhere to the Bible’s directive to bless Israel by supporting Israeli-based outreaches and messianic organizations.